It’s my 3rd month in Kuala Lumpur and I thought I’d share with you guys what it’s like living here in Malaysia! I know it’s a short amount of time and my points of view can still change, but at least it can give you a hint of the life of a Filipino expat here. I used to think that Filipinos are the friendliest, but as I meet more people from different parts of the world, it becomes clear that we have much to improve in ourselves. We are hospital and proud to foreigners sure, but towards each other we aren’t always our best. It was a pleasant surprise to know that the locals in Malaysia are a nice bunch. When I arrived here, I contacted a lot of unit owners for room viewing. I took the first one I visited where the other housemates are also Filipinos, and so I informed the others about my decision and to let them know I was cancelling my visit for viewing. Filipinos sent me a curt “Ok” (which, if you know Filipinos, implies that they were personally offended) while Malaysians gave a longer response, along the lines of, “Okay, thank you for informing me” or “Okay, have a good day.” I don’t know about you, but this is pretty telling to me. It’s actually difficult for me to describe eloquently what I mean by saying the locals are “nice.” I don’t have a grand anecdote to share. When I’d asked a friend for an example (I told her it’ll be for this blog), she cited the time when she returned a bunch of bananas to the owner of a fruit store. The bananas were half gone, and the rest did not ripen properly. The owner replaced it with a fresh bunch, no questions asked, and when she said thanks, the owner got confused and asked her, “Why are you thanking me?” We were amazed that this occurred without a cat fight, or a long argument at the very least. I think the best way is to say, it’s the little acts of kindness that count. People smiling in elevator rides, a stranger offering to share an umbrella when it rains, and so on. Perhaps my “great struggle” in living in Malaysia is communication. A good chunk of the population speaks decent English, but there are also those who don’t understand a word. Here, knowing rudimentary Malay is a must, but even then it isn’t always enough. There are times that I speak in Malay and they still don’t understand me. It’s like they have a radar so that when they sense that you are a foreigner, the fact that you’re using bahasa Malaysia is unfathomable and the words come off as alien. More importantly, in a career field (software engineering) that is strictly based on requirements, this is something I have to get used and adapt to. Malaysian food is great, and the locals know it. During commute to work, Grab and Uber drivers often ask me (1) what I think of the country, (2) what I think about the food — always in that order. I say I love the food, and it’s true. I’m not a great fan of Filipino cuisine, to be honest. For someone who is passionate about life and food, it just doesn’t live to standards. We do have some good dishes (sinigang has long been a favorite of mine), but I think in general there is lack of focus on quality as well as innovation. In addition, new restaurants in the recent months design their menu based on passing fad, not on food quality. So you’ll always see new items on menu (a burger and pizza in one, etc), but taste-wise are just so-so. Malaysian cuisine is diverse, with Malay, Chinese and Indian dishes. Currently, my favorite Malaysian foods are: roti canai and teh tarik for breakfast; nasi goreng, Hainanese chicken, kuey teow or char siew noodles for a full meal; and taufufa for dessert. Oh, and those sticks of chicken satay you can buy from food trucks starting at late afternoon. Another thing that I like is how locals put effort into making their food. 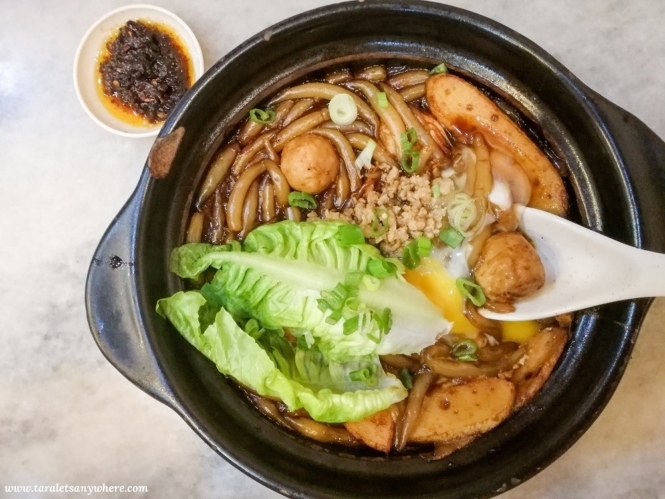 I read in a Malaysian blog that local stalls make their noodles and other ingredients, and this makes the food more authentic. In fact, the best way to tour a guest around is to eat in regular eateries rather than splurging on expensive (sometimes Westernized) restaurants. If you’re health conscious or want to start a healthy lifestyle, you’ll love living in Kuala Lumpur. Markets hold a variety of fruits and vegetables at a cheap price! When I arrived, I was amazed that I can get a pack of muesli for 10-12 ringgit (P130-150) or chia seeds for about 15 ringgit (P200). Fresh berries such as blueberries and strawberries are also easily available, for 10 ringgit or above (P130 above). 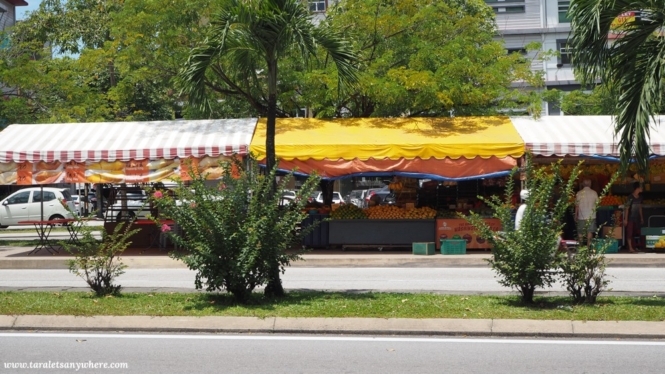 In our area in Bukit Jalil, there are at least four stores nearby selling fresh produce: a grocery mart, two fruit stalls and a juice store. We also have a shop selling organic items. Some people say that the weather conditions here is similar to that in the Philippines — the hot and rainy seasons. But, may I add, with significant differences. Rains here in Kuala Lumpur only lasts one or two hours at most, and it’s pretty much tolerable. In the Philippines, an hour of rainfall can cause a traffic jam nightmare that lasts a whole night. That saying, it’s pretty much tropical weather all-year round. Lots of green spaces. 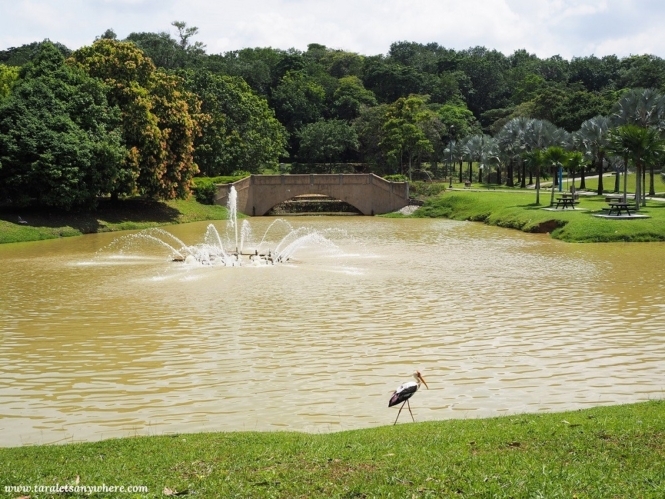 Bukit Jalil Park. As for the hours, I love how sunrises and sunsets are later compared to that in the Philippines. It’s still a bit dark at 7am, perfect for sleeping in, and light at 6-7pm, so I feel that there’s still much I can do after going home from work. 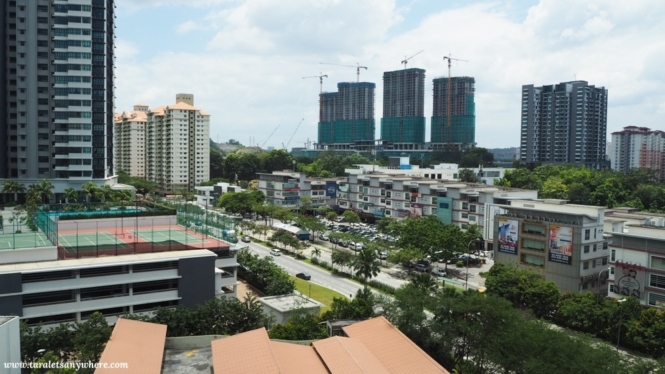 There is a lot of local businesses thriving in Malaysia. For someone who grew up with Western brands dominating the market or otherwise local brands that are part of a few successful chains, this is nothing short of amazing. For instance, there are mamaks, hawker stalls and other restaurants run by families. Meanwhile, in the Philippines, you can see the same food chains again and again: there’s Jollibee, Greenwich and Mang Inasal (owned by the same umbrella company); McDonalds, and so on. There are monopolies in the market, and local brands find it difficult to break through due to lack of support. In Malaysia, the locals patronize their own. Kuala Lumpur is great, but it’s also a typical city with limited attractions. Day trips here are also few: there’s the usual Cameron Highlands, Penang, Langkawi, Melacca, Ipoh and some others. That’s the one thing I miss about the Philippines. We have over 7000 islands and so much to offer: endless mountains, fields of rice terraces and beaches, beaches, beaches. Even for weekend trips, there are a lot of options. 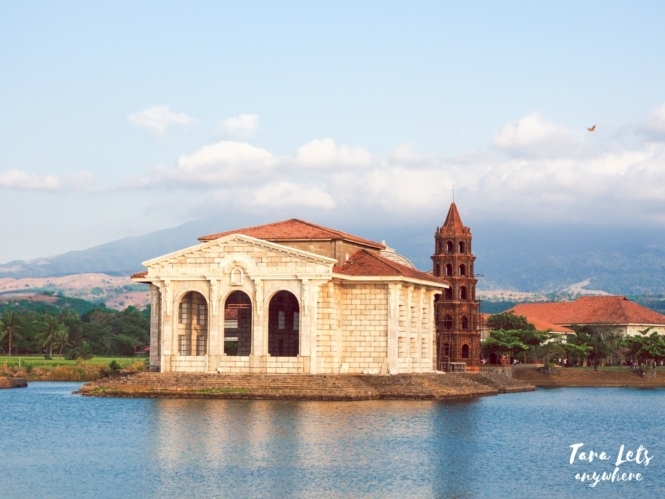 You can go hiking to the rice terraces in Batad or Maligcong, go up a mountain like Mount Pulag, island hop in nearby provinces such as Pangasinan or Mindoro or sneak in a quiet spa retreat up in the mountains of Antipolo. Every country has its plus points, I guess. In general and in a lot of ways, living in Malaysia is great. Food is amazing, the locals are nice and friendly. It’s no wonder Kuala Lumpur is often listed as a top expat destination. Furthermore, tax is lower compared to the Philippines (as of this writing) and cost of living is low. 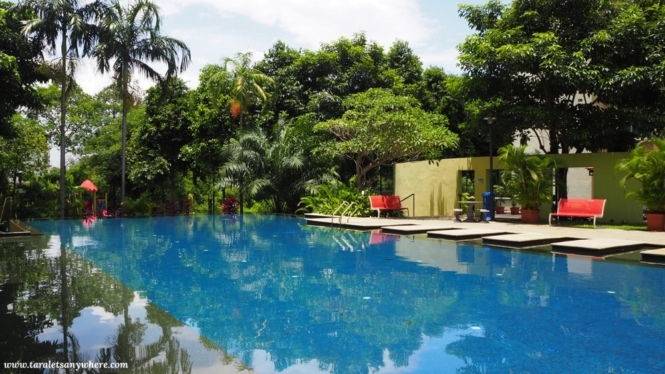 From 300 to 600 ringgit, you can get a small- to medium-sized room in a nice condo, with a pool. It’s actually not just in the things that Malaysia offers, but also in those it doesn’t — the traffic and pollution in Metro Manila, the daily complaints, the toxicity of people in the social media… everything we Filipinos live with but would like to escape from. Here, it is generally more peaceful and I daresay livable. Obviously, 3 months is a short time to completely get to know a place much more a country, but it’s enough to get a feel of what it’s like. Presently, as you can tell, I have a great impression of Malaysia. Have you been to Malaysia? What are your thoughts about it? P.S. Looking for other posts about living in Malaysia? I’ll be going to Kuala Lumpur also this October. I’d like to talk to you more about the living condition in KL. The food looks delicious and the scenery looks awesome. It definitely worth visiting. I am definitely planning a trip to Malaysia. Somehow I am touched with what you said. I’d only been abroad for a few months and I do appreciate the peace, convenience and quality of life offered here as compared to my home in the Philippines. Yes I do love the PH but a part of me understands why some people move away permanently… Unlike other Filipinos who do so with a feeling of hopelessness or condescension for the country, I understand that the PH – like all other places in the world – has good and bad qualities, and ultimately the decision to stay or leave is based on how you want to take care of yourself and those around you. Ooh. Looking forward to reading about your experience in Abu Dhabi. 🙂 Honestly to me the Middle East seems scary and so it’s interesting to know abt expats’ perspective on it. Interesting blog post Tara, timely for me to read as I’ll soon travel to Kuching Malaysia to check it out as a possible home base to live in. Great to hear people are positive and friendly, that’s the most important thing to me when living somewhere really. I was a bit surprised to read that most people in Malaysia don’t speak English though. Because most Malaysian people that I met in Boracay did speak English, and there an online Malaysian forum also, where English is the main language. I think most people can speak English, but if you go to the local grocery or restaurants (in non-touristy places) it’s not uncommon to meet locals who don’t. Nice post. We’re thinking of going to Malaysia in March and I’m happy to read your comment. We miss Asian cuisine and having been to Penang a long time ago I already look forward to the food (especially the Indian cuisine which I remember being fantastic). Good to know you also find the people friendly.